Our award winning pond design and installation team can provide you with beautiful, practical and thriving water gardens and features that are sure to impress friends, family and potential customers alike. Working across London and Surrey alongside both private homeowners and commercial clients, we tailor our expertise to each individual project and can provide formal or informal designs to suit your requirements. Providing beautiful, practical and thriving water gardens and features that are sure to impress friends, family and potential customers alike comes naturally to our award winning pond design and installation team. 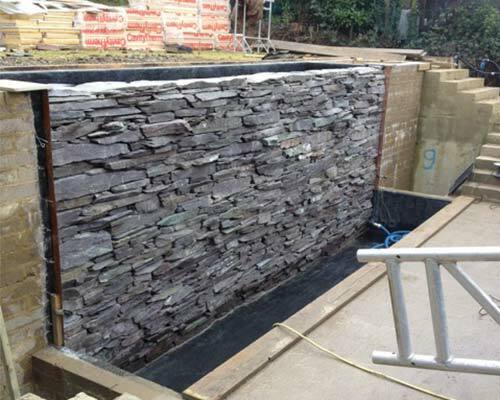 Working throughout Surrey and London, including Wandsworth, Hampton, Chelsea, Sutton, Fulham and Chessington, we tailor our ponds expertise to each individual project, providing formal or informal designs to suit your requirements. From pond filters to decorations; we design it all to suit your needs and meet the style of your garden. 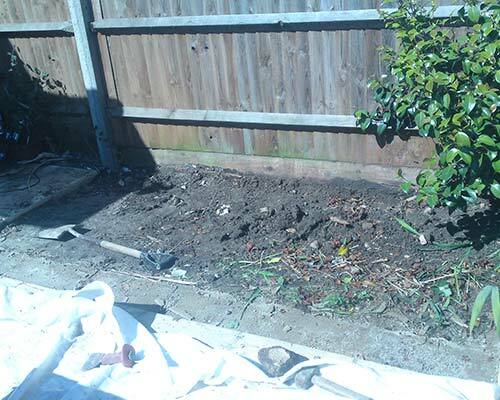 Call the pond design and installation team today on 0208 3379 605 and someone will be on hand to provide you with the information you need on our range of services. Your pond design will meet all of your specifications and we will provide a professional pond installation that will ensure everything is the way you want it. Having won awards for our ponds and water gardens at the Chelsea and Hampton Court Flower Shows, we are vastly experienced in providing high quality, bespoke and beautiful pond and water feature designs. 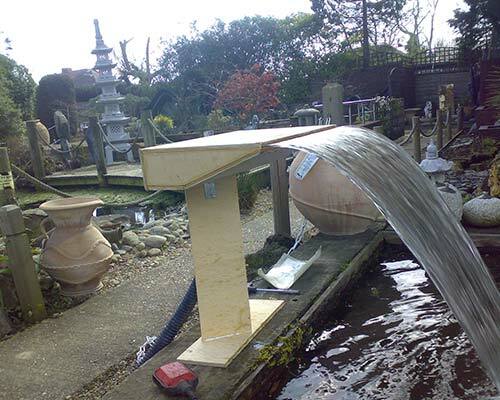 Indeed, from natural ponds to domestic back gardens, specialist designs for koi carp or commercial water features, we have got something for everyone. 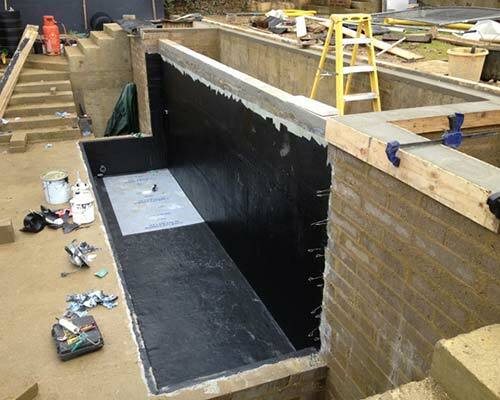 Providing formal or informal arrangements, modern or classic design using fibreglass, concrete or preformed stainless steel with a suitable liner our expertly designed ponds are absolutely bespoke to your requirements. The right plantings bring a water garden to life and help maintain it by limiting algae growth, keeping water clean and clear and providing shelter for fish and other animals. We take into account the positioning of your pond and plan in perfectly suited plants including aquatic marginals, oxygenators, water lilies, water hyacinths, other varieties to create texture and ornamentation. 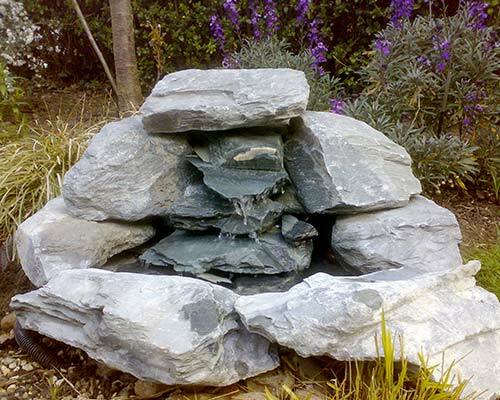 To add an essence of tranquility and elegance to your water garden or ponds, we also supply a wide range of monoliths, decorative features and fountains. Ranging from simple statues to jumping jets and LED lighting, our additional features are ideal for commercial gardens, private gardens or even reception areas in offices. 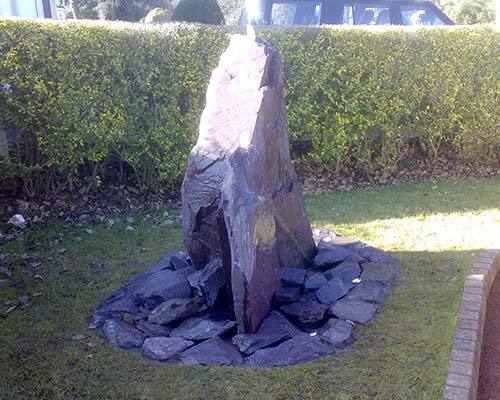 We can supply a hugely diverse range of decorative features for ponds, including rock monoliths, carved granite, obelisks, slate stacks, steel spheres, copper pouring pots and half barrels. One of the key aspects of keeping ponds clean and oxygenated is professional and effective pumps and filters. Pumps and pond filters help keep water clean and oxygenated which is ideal for the health of your plants and fish. Utilising the finest pond equipment, we are able to install everything from mechanical filters to vortex units, pressure filters, UV and biological filter methods. Including bubblebead and protein skimmers. Lighting a water garden is all about understanding how best to apply different lighting systems to each unique garden. We consider mains or 12 volt installations using products like oase and hunsa underwater lighting, spotlights, rock and deck lights plus installation of switches and timers; all by an NICEIC certified electrician. Operating throughout Surrey and London, we provide customers with the finest installations, maintenance and cleaning of ponds. We have recently undertaken projects for clients in Surbiton, Kingston, Twickenham, Richmond, Wandsworth, Hampton, Chelsea, Oxshott, Fulham, Wimbledon, Sutton, Chessington and Cobham. 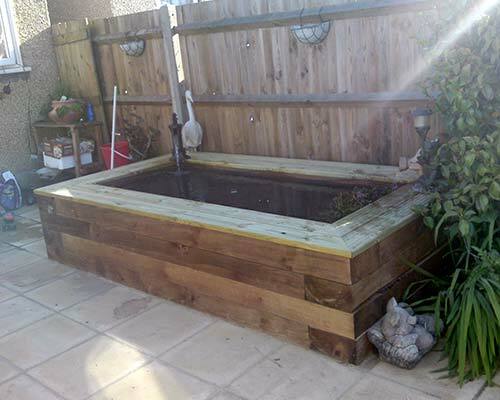 If you would like any more information about our pond design and installation service, please do not hesitate to contact one of our helpful and highly experienced team.